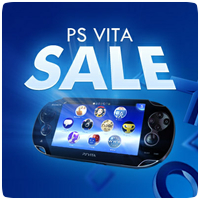 The PlayStation Store is current into week 2 of its 3 week PS Vita promotion. If you are a PlayStation Plus subscriber, you can get a further 10% discount off the already discounted games in this week’s sale. Games like Unit 13 and Rayman Origins can be picked up for only £17.99 each. 9 retail games are on sale on the PlayStation Store so take a look and grab a bargain while you can.